A space archaeologist who uses satellite imagery to locate lost tombs and Egyptian pyramids plans to enlist the world's citizen scientists in her quest to discover and protect ancient sites. Sarah Parcak won the 2016 TED prize, the non-profit’s annual $1 million dollar award intended to help develop an idea with global impact, and she announced that she plans to use the prize to create an online platform that will enable anyone to join in the search for ancient sites. The platform, called Global Xplorer, will train users how to recognize potential archeological sites and looting pits and allow them to tag satellite pictures with descriptions. If an image has been tagged enough times, experts will evaluate it to confirm whether or not anything is there. 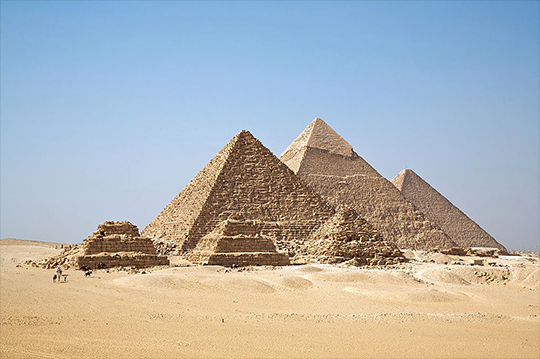 Parcak has discovered 1,000 lost tombs and 17 potential Egyptian pyramids, according to TED. But she believes that millions of ancient sites remain undiscovered, leaving them especially vulnerable to looters, who often ravage sites before archaeologists can get to them. The game could serve as a key to speeding up the process of locating and protecting them. "The biggest problem we have when looking at satellite imagery is not the processing," she told NPR. "The hardest part is actually eye fatigue...Imagine hours and hours looking at satellite imagery. We miss things."